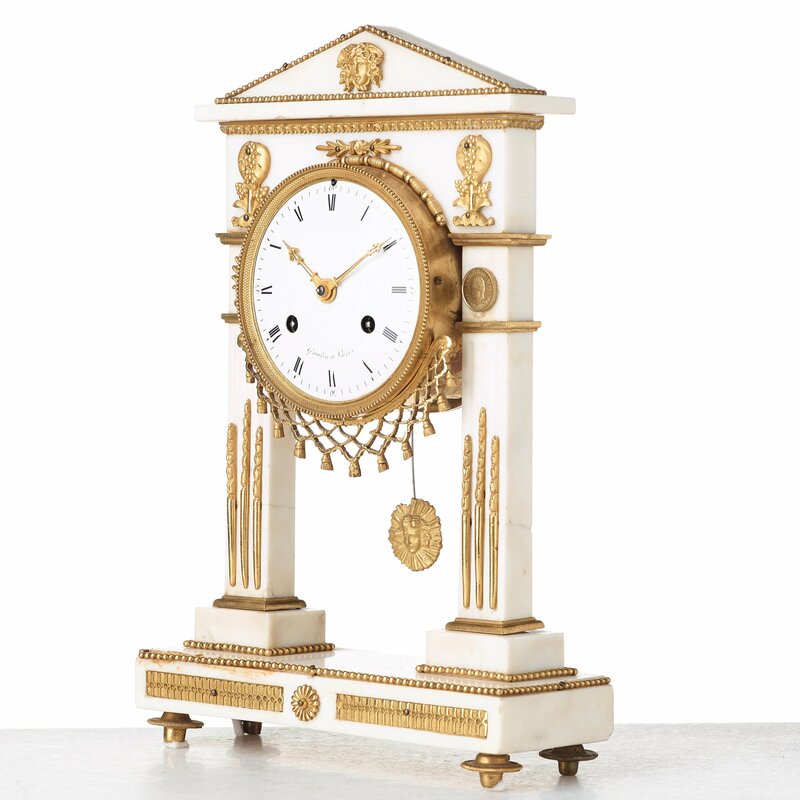 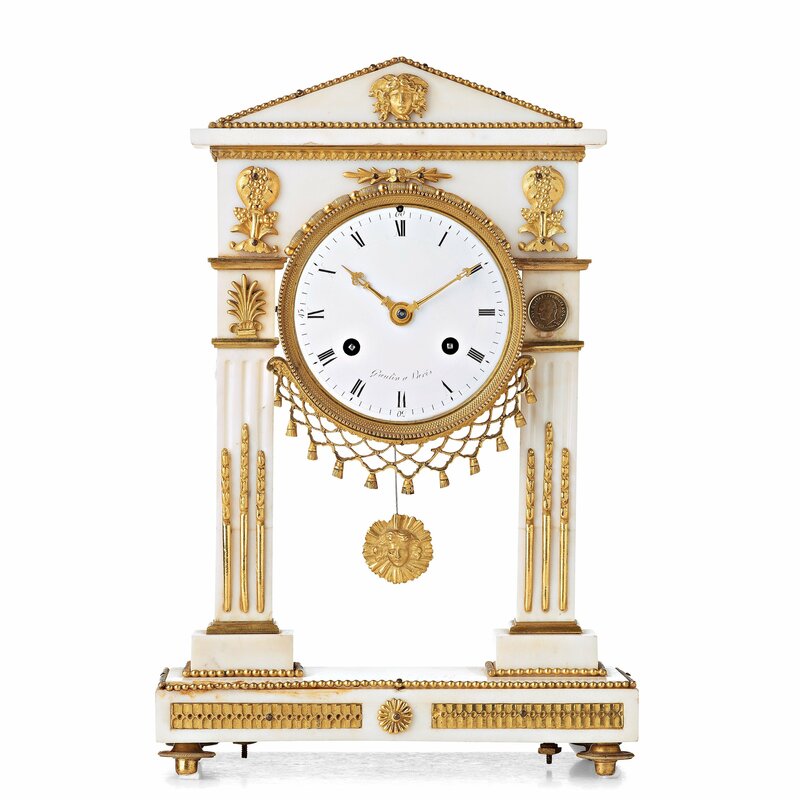 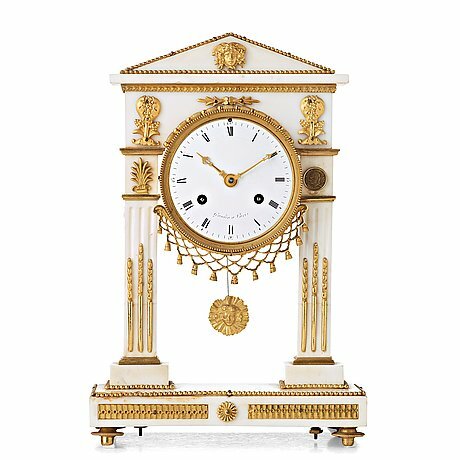 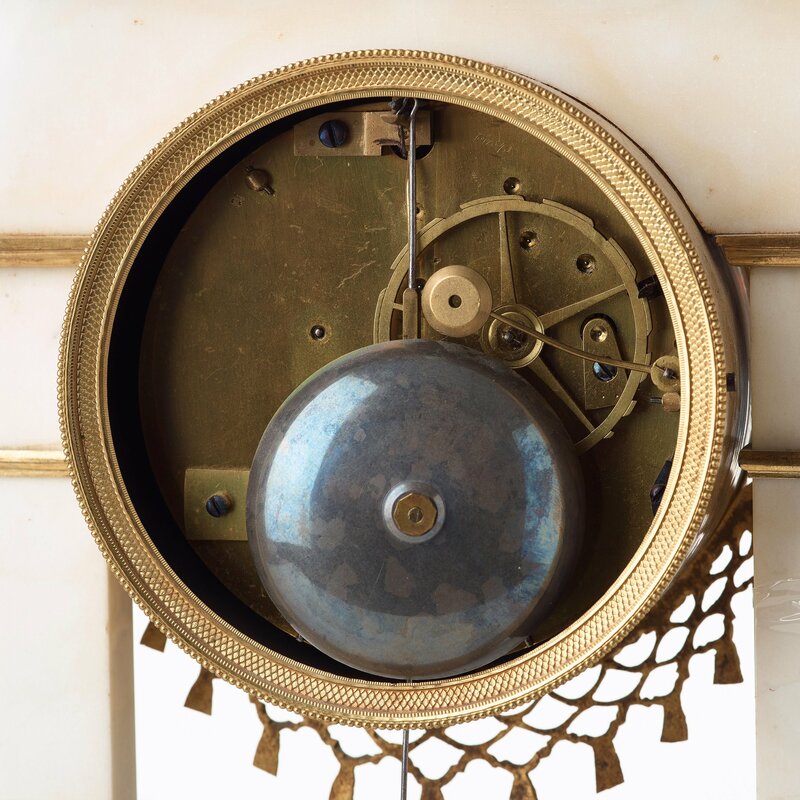 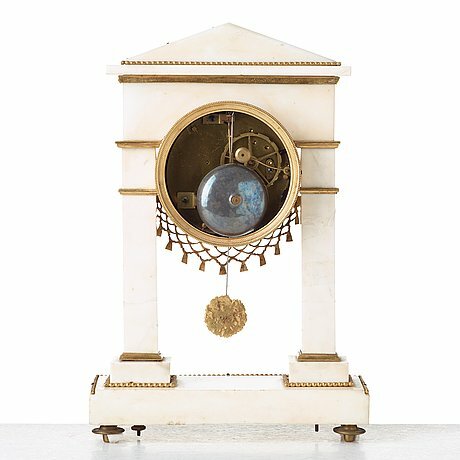 A Louis XVI late 18th century mantel clock by Antoine Gaulin (master in Paris 1788). 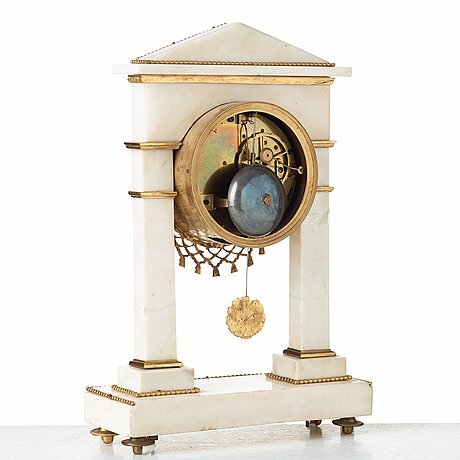 Marble and gilt brass. White enamel dial marked "Gaulin a Paris". 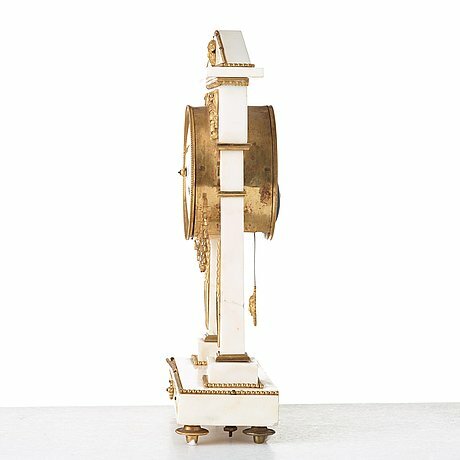 Height 35, length 23 cm. 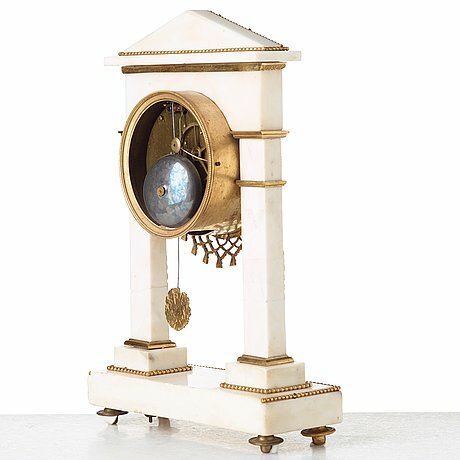 Pendulum and key included.